Think of the very tastiest meal you can imagine. Maybe it's a filet mignon. Maybe a freshly-caught grilled fish. Maybe a dish of pasta. For me, it's a sandwich. I know, the sandwich is a pretty humble lunch/dinner option, but it combines BREAD with delicious meats and cheeses (...and maybe a little mayo...yum...), and I think it's one of the best things you can eat on the planet (other than desserts of course - that goes without saying). 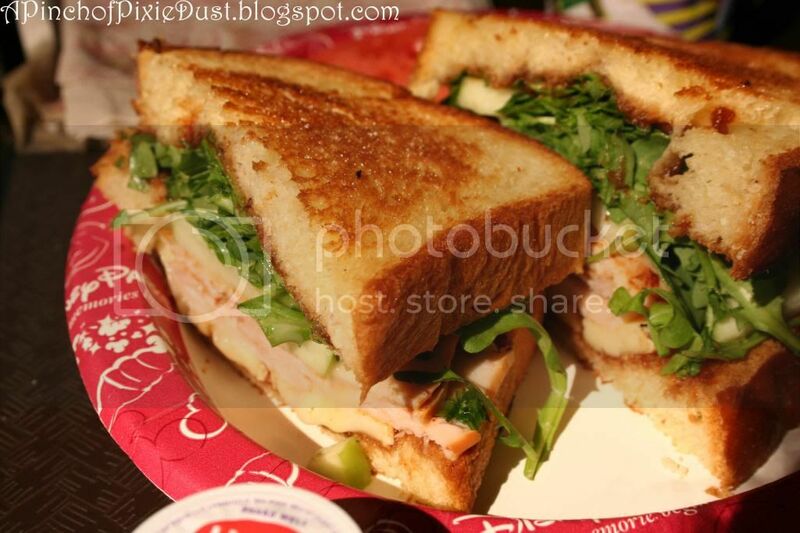 Disney World food is a cut above food just about anywhere else, so of course the sandwiches there are AH-mazing. 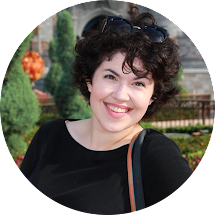 I've put together a list of my top five Disney sandwiches. It was hard to narrow it down, but when I dream of my favorite meal, these are the sandwiches I picture. 1. 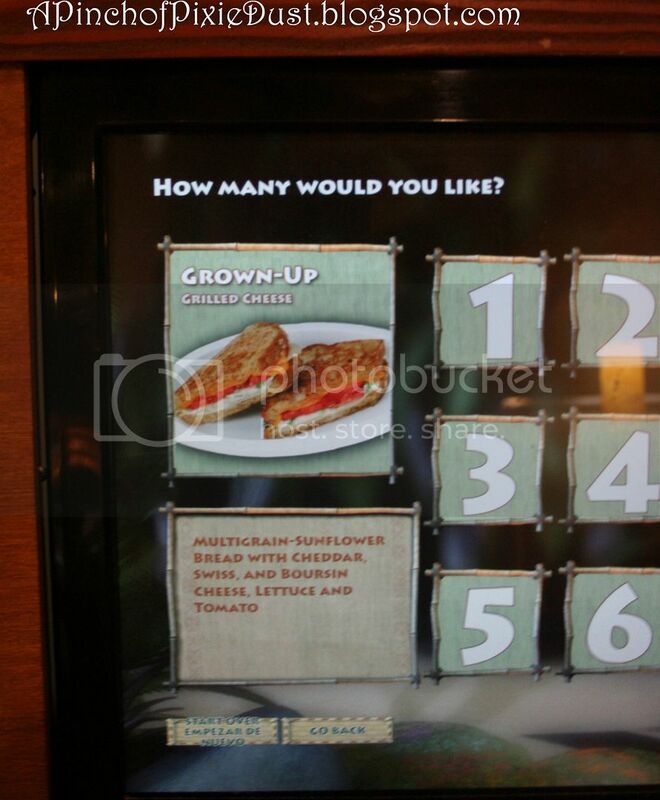 The first sandwich on today's menu is the Grown-Up Grilled Cheese from Captain Cook's at the Polynesian Resort. And it comes in that distinctive Captain's Cook box with a mountain of some of the most addictive chips ever. Especially the crispy triangular ones. I could eat them forever. Ohhhh...this sandwich. The cheeses form the perfect melty medley; you don't even miss the meat. The tomato and a light touch of lettuce finish it off perfectly. 2. 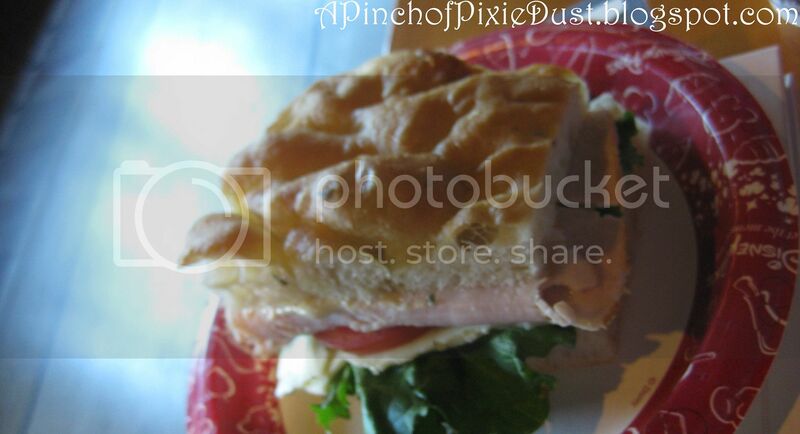 Cross over to Bay Lake for this next delicious Disney sandwich. 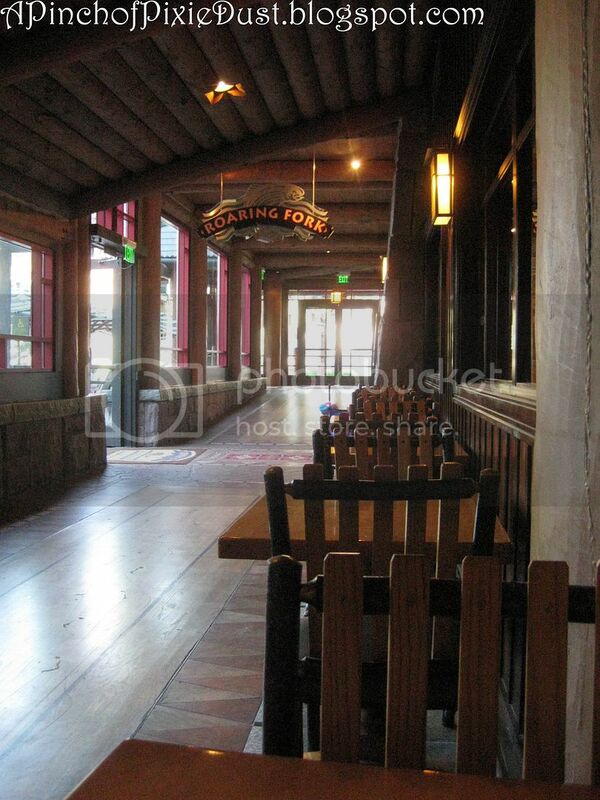 You'll find it at Roaring Fork at the Wilderness Lodge. Here they make up the sandwiches fresh, right in front of your eyes - which is great if you want to customize the sandwich a bit. It's the turkey and dill havarti on focaccia that keeps me coming back here. I didn't even know about Havarti cheese until this sandwich. Now it's right up there with Boursin. 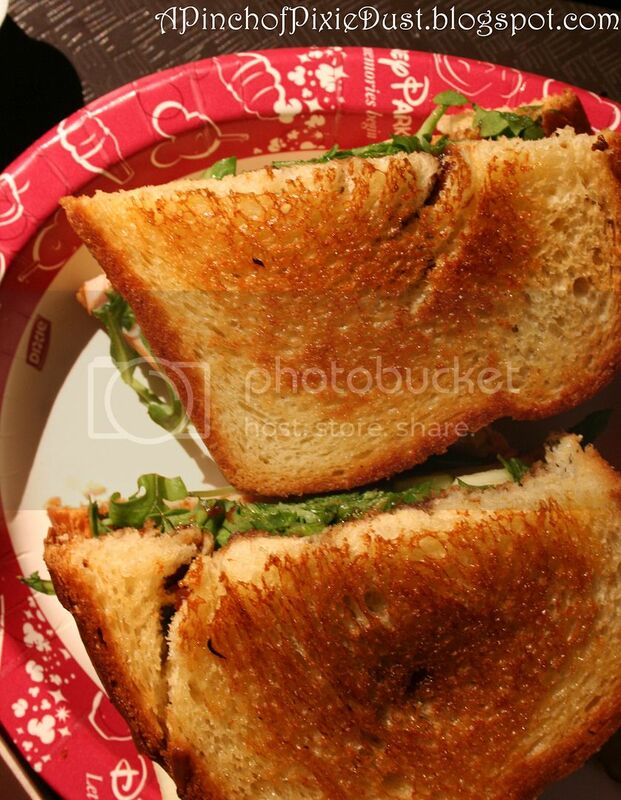 The combo with the turkey on that yummy bread is simply scrumptious! 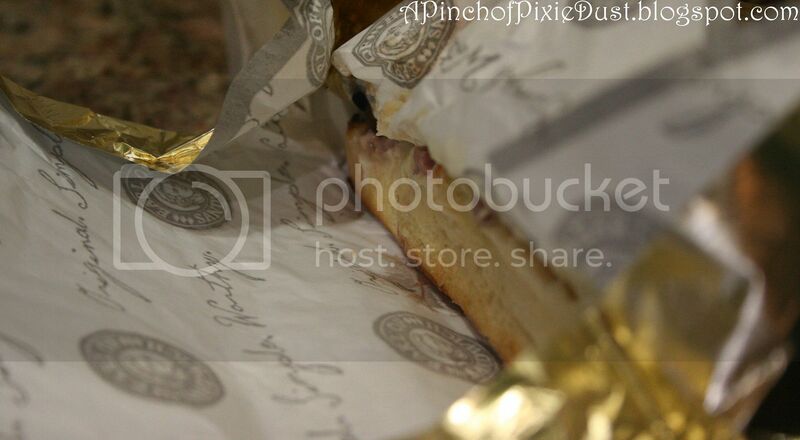 Wrapped in that gold foil paper is some serious deliciousness. 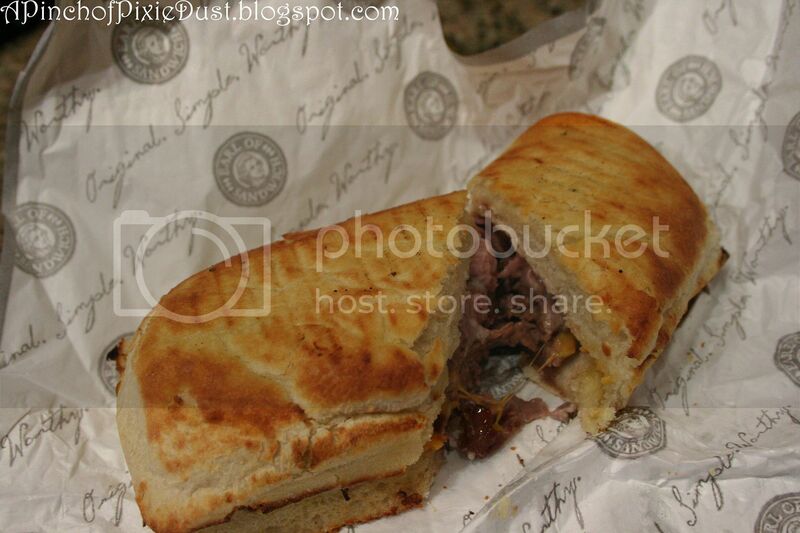 The Original, with roast beef, sharp cheddar, and horseradish sauce on that tasty, toasty bread is just AMAZING. MMMMmm...look at that melty goodness. Although, now that they've added the holiday turkey sandwich to the all-year menu, it's going to be A LOT harder to chose just one. I could always just get one for now and one for later! And don't forget dessert - the peanut butter brownie sandwich is just as good in the treat department as the Original and the Holiday Turkey are in the sandwich dept! 4. 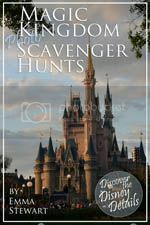 For number four, we're turning back to the Seven Seas Lagoon for a truly unusual sandwich. 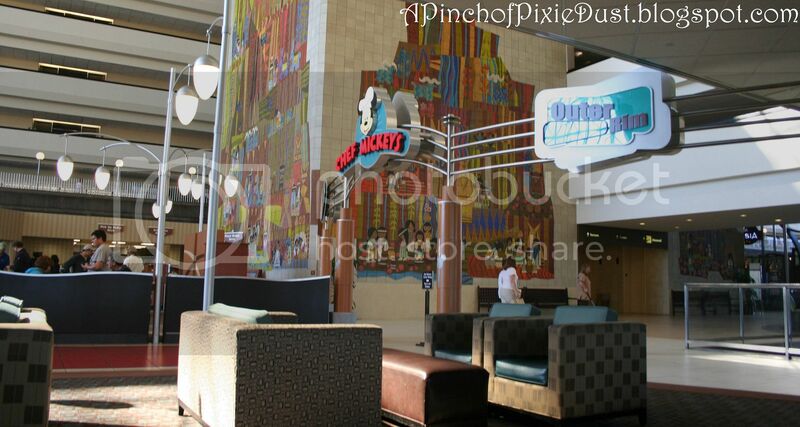 On the sun-drenched Grand Canyon Concourse at the Contemporary, you'll find a lovely sandwich selection at the Contempo Cafe. If you're feeling adventurous, go with the Hot Turkey Sandwich. The buttery challah bread alone is reason to try this sandwich. But the fillings are delicious too - fresh arugula, tasty turkey, apple butter and...wait for it...crispy, thin apple slices. I wasn't sure how I would feel about the apple, but it gave the sandwich the perfect tang. Definitely a must-try! At Bill & Min's Dockside Diner in Disney's Hollywood Studios, you'll find one of the best chicken salad sandwiches you'll ever lay teeth on. It all starts with half a French baguette, crispy on the outside and soft on the inside. They then hollow out the middle a bit to make room for the filling. It can be hard to find a reeeally good chicken salad, but this one seemed to have the perfect combination of fresh lettuce, just the right size chicken chunks, and just the right amount of dressing. 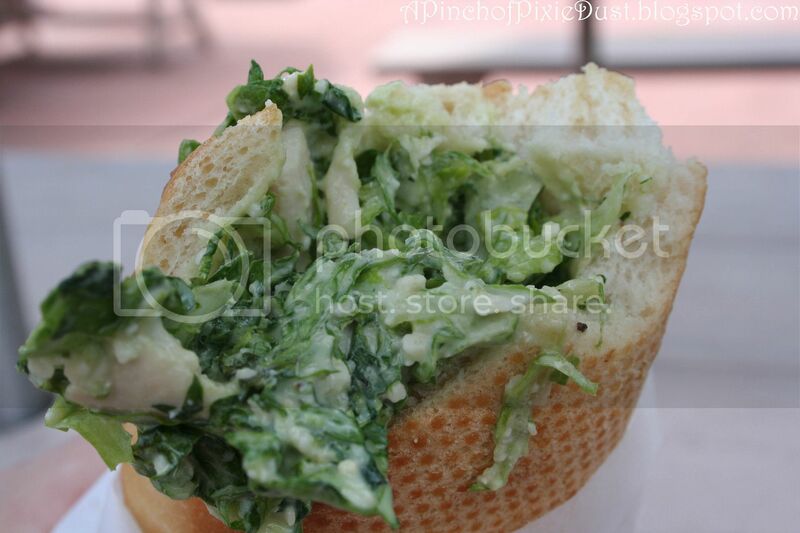 You wouldn't normally describe a sandwich as "refreshing," but this one was with the cool chicken salad! Great to re-energize with on a hot Florida day. So those are my top five! Now I want to know: what's your favorite Disney sandwich? 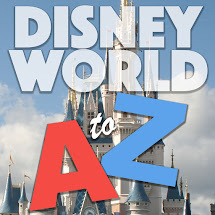 Quick Tip: Did you know that most counter service sandwiches at Walt Disney World can be ordered without the side of chips or salad they come with on the menu for a lesser price? You'll save about $2 and some calories. 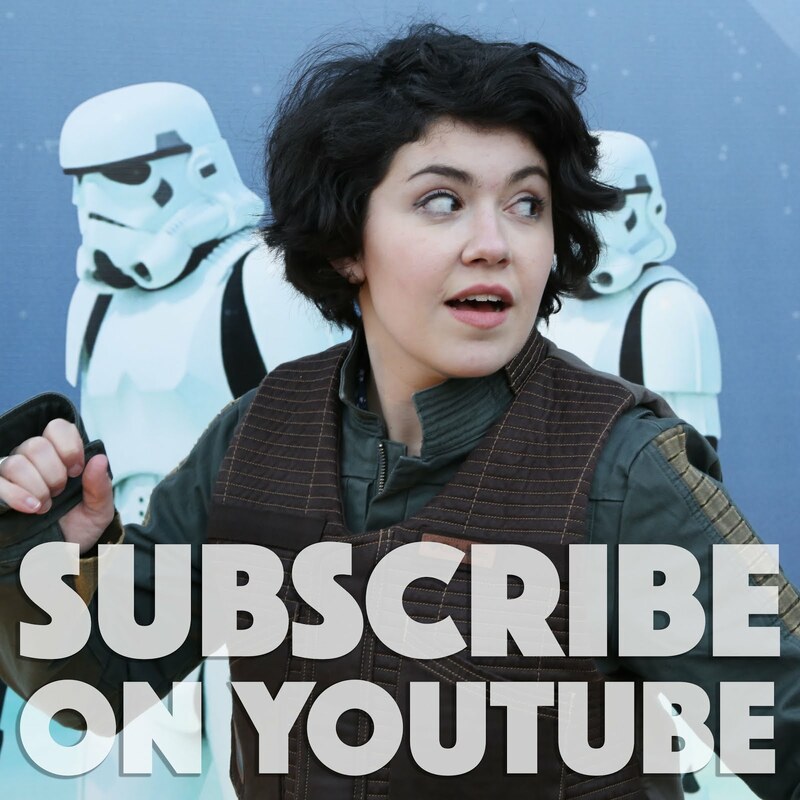 Sometimes the cast members don't even know you can get just the sandwich for less, so be sure to ask for a manager when you're ordering if there's any confusion. I must know about this chicken salad. Being a lady of the south, I'm sort of a chicken salad guru/snob. What ingredients are in the chicken salad. PS- This is hands down one of my Top 5 posts ever! Sandwiches are one of my all-time favorite things to eat. There are a lot of things that I actually don't like eating, but if there's an option to have it between two slices of bread, I'm all for it. I don't like roast beef or steak or anything like that, but put it in a sandwich and I'll eat it. I'm actually not a fan of meat in general, but in a sandwich, it's just perfect! I used to eat one of my mom's dishes, which is like a Chinese pot roast leftover by putting it between bread! I've never had boursin from what I remember, but I've had regular havarti and it is amazing! I'm all about plain ol' American cheese, cheddar, and bleu cheese, but when there's a sandwich with more of a specialty cheese, it just puts it over the top! I'm so thrilled that the holiday sandwich is available year round at EOS, but I also love the All American so much that I don't know what I'm going to do. The Italian is the perfect sandwich to take on the go as long as you ask for the sauce to be on side. It lasts a lot better than the All American does. We stopped by on one of our previous trips (Feb 2011 TR) to pick up sandwiches to eat on the ride back home on Amtrak. Yum to that chicken sandwich! When French baguettes are lightly crunchy on the outside and soft on the inside, it raises that sandwich experience! I adore Vietnamese sandwiches (banh mi), and on some Sundays, I'll be craving a grilled chicken banh mi. 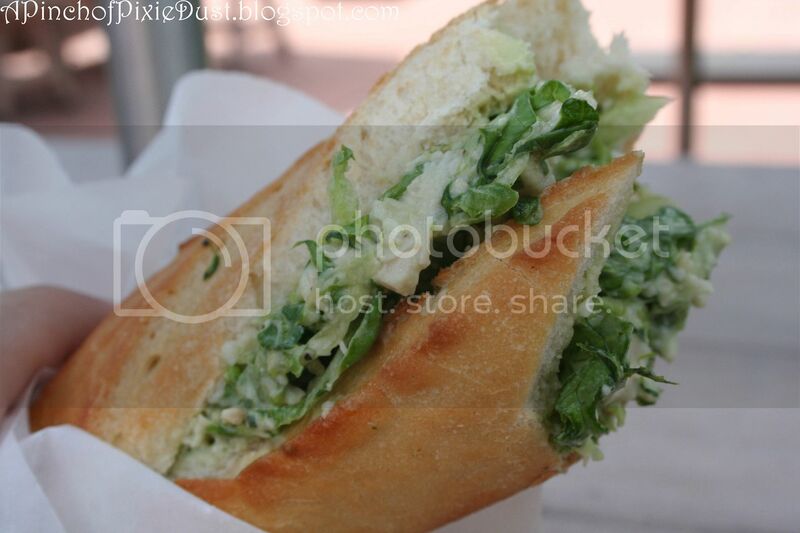 My church is in Chinatown, and there's a Paris baguette there that makes such delicious sandwiches! It really is the bread that brings it all together. My CURRENT favorite sandwich would have to be the Lighthouse sandwich at Columbia Harbour House. I can't wait to have that again in less than 2 weeks! I think it's so refreshing especially in the heat. The other sandwich I can't stop thinking about is the beef and bleu from Pop Century, but it's now off the menu according to the last update. This is one of those examples of things that I don't like but taste better between bread! My husband and I were just looking for something to split, and he likes roast beef so I said it was fine if we had it. It ended up being delicious! I also loved those homemade potato chips! 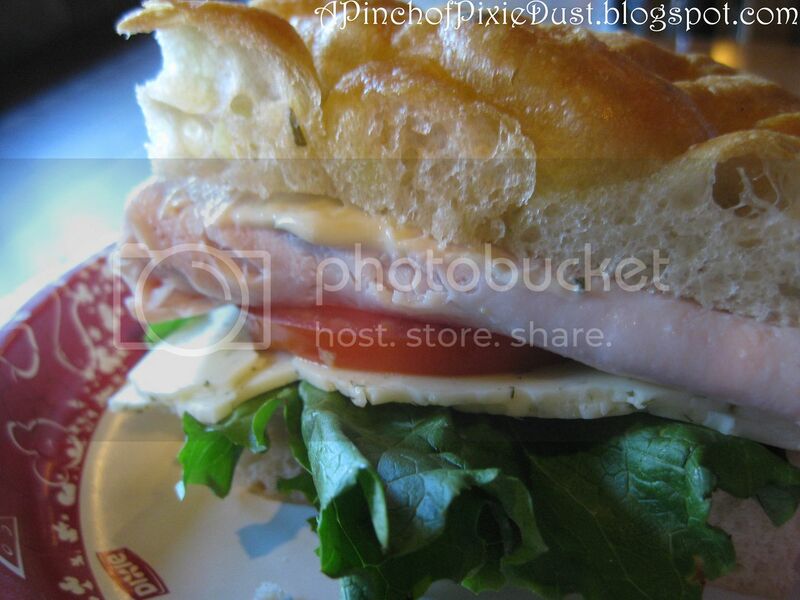 Just because of my love for sandwiches, this might have been one of my favorite posts on your blog, haha. Me too, Rachel. I love the Lighthouse! What a great post! 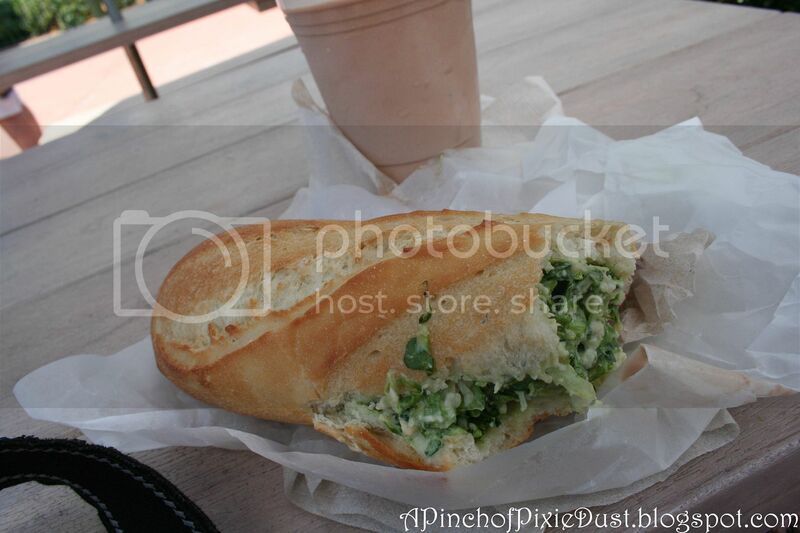 I never really thought of sandwiches while at Disney, besides at Earl of Sandwich of course! I'll have to try these, thank you! 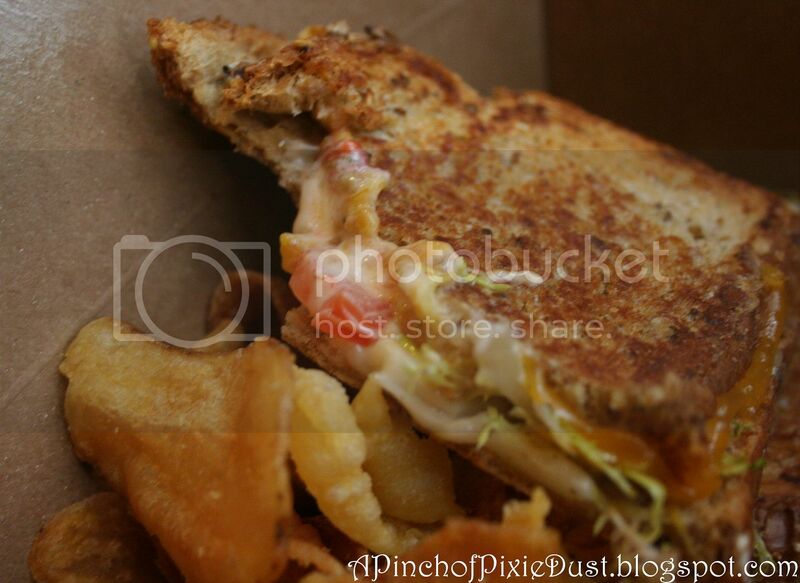 I have had the Grown Up Grilled Cheese & I must say I still think about it..it was really good,...but I am definitely a grilled cheese kinda girl!!! 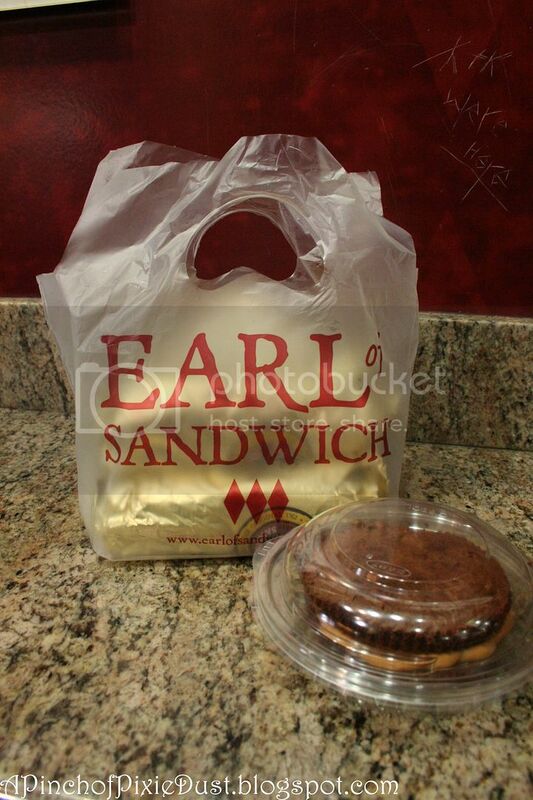 And who doesn't love SOMETHING at the Earl of Sandwich...there has to be a fave for everyone in that menu somewhere!! Thanks for making me hungry. LOL!! !